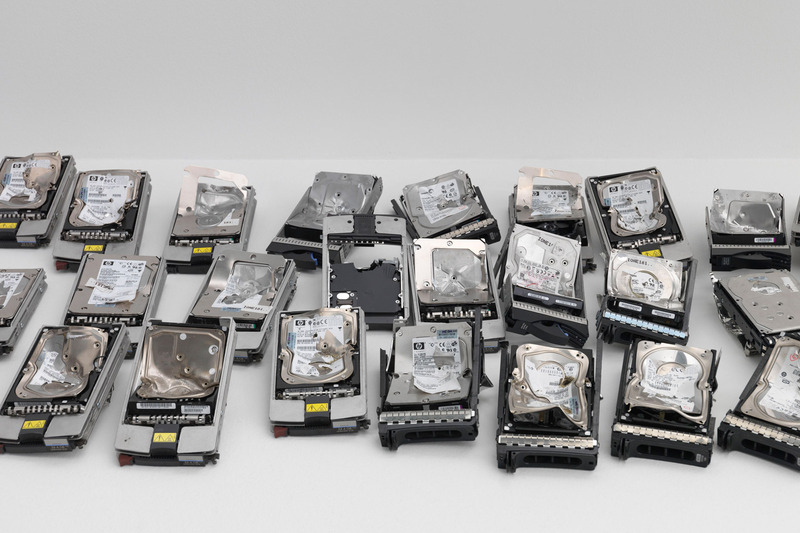 40 Kilograms of destroyed hard drives were sourced from a data destruction service, a mountain of shiny deformed bricks that were scrapped out of the guts of computers. Mined out of soil, designed in the United States, made in China, destroyed in England. Labour starts in reverse, dissolving the virtual into the fake from the other end of the consumption chain. 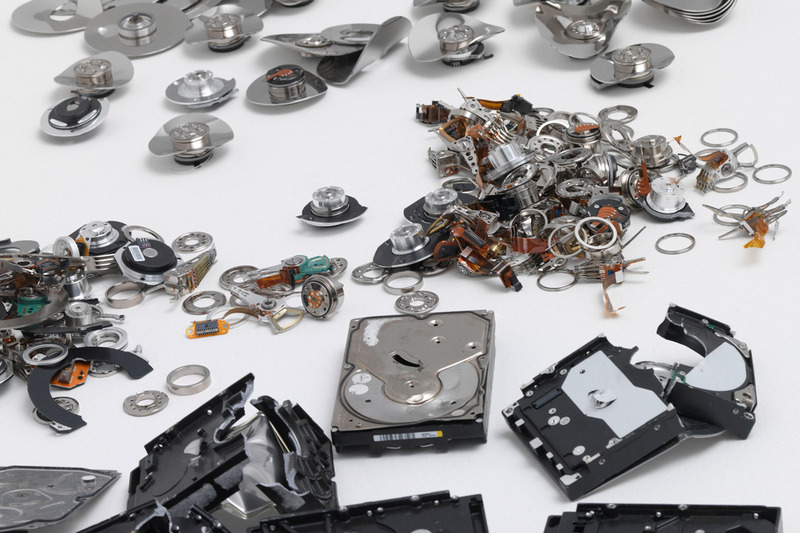 Metals and rare earth minerals are mined from the pile of hard drives and reconfigured back into mineral form. 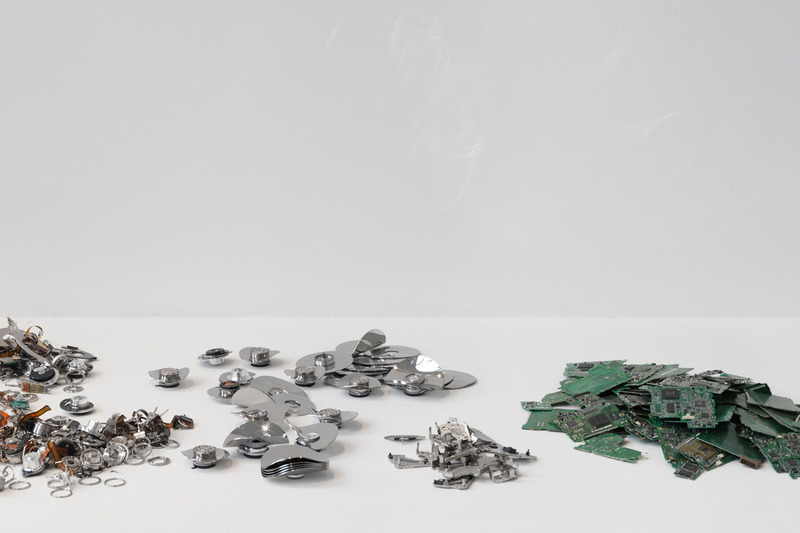 Neodymium (Nd) magnets are shredded with a water jet, tantalum (Ta) is filed out of capacitors and the gold (Au) recovered with acids. The aluminium (Al) platters - still holding their ones and zeros - are melted and recast in a sand mould. 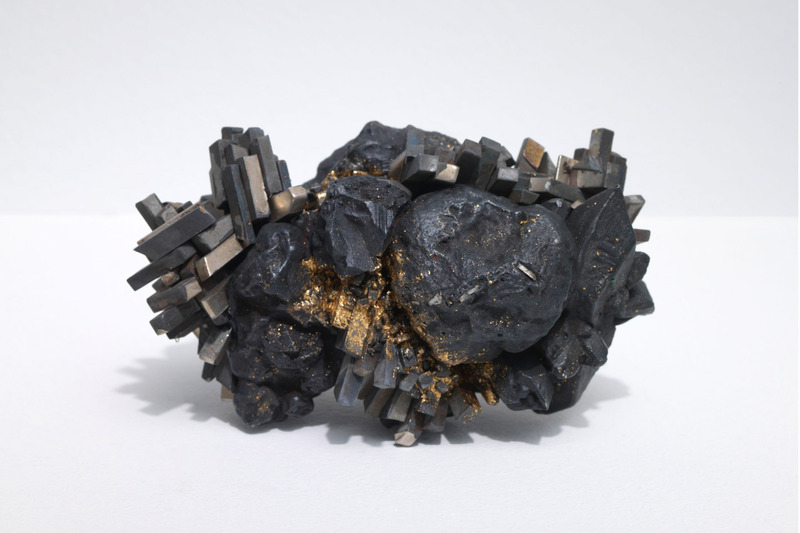 An artificial ore emerges from the earth, unexpectedly black. 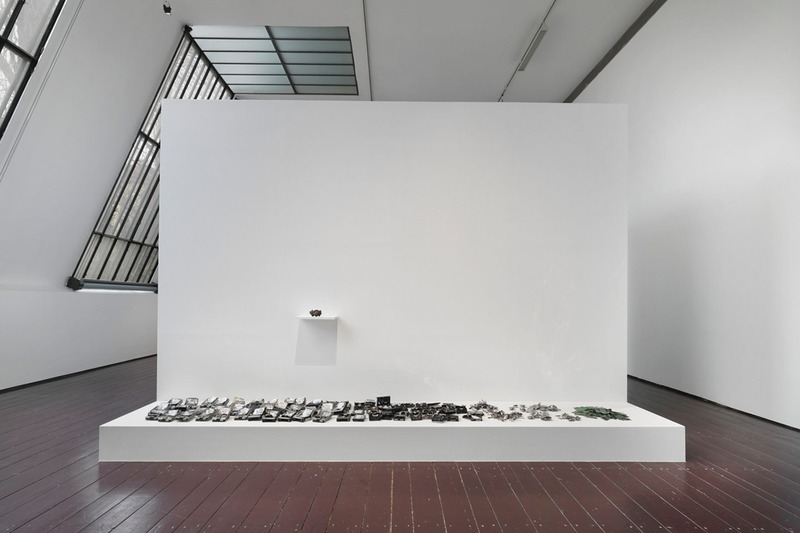 Commissioned by Thyssen-Bornemisza Art Contemporary for the Rare Earth exhibition curated by Boris Ondreička and Nadim Samman.